***JUST ADDED***Check out I'm With It (Tags), a new track by Keri Hilson, which dropped on Wednesday, August 18th, 2010. Check out I'm A Dreamer, a new track by Keri Hilson, which dropped on Sunday, August 8th, 2010. Bump Gamez, the latest cut from Maejor Ali featuring Keri Hilson on the assist. It was released on Wednesday, July 21st, 2010. 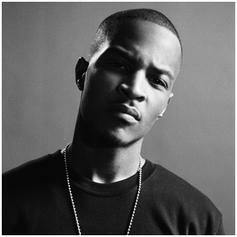 Give Got Your Back Ft Keri Hilson a spin - it's the latest release from T.I., having dropped on Friday, May 28th, 2010. Check out Black Cloud, a new track by Keri Hilson, which dropped on Saturday, May 8th, 2010. Listen to Keri Hilson's new song Black Cloud, which was released on Saturday, May 8th, 2010. Give Black Cloud a spin - it's the latest offering from Keri Hilson, having dropped on Saturday, May 8th, 2010. Check out Up Keep, a new track by Keri Hilson, which dropped on Wednesday, April 28th, 2010. Listen to Keri Hilson's new song Blind, which was released on Monday, April 5th, 2010. Give Friend Zone a spin - it's the latest offering from Keri Hilson, having dropped on Monday, April 5th, 2010. Check out First, a new track by Keri Hilson, which dropped on Thursday, March 25th, 2010. Check out Automatic, a new track by Keri Hilson, which dropped on Thursday, March 25th, 2010. Listen to Keri Hilson's new song Cut My Hair, which was released on Thursday, March 25th, 2010. Check out Green Light, a new track by Keri Hilson, which dropped on Tuesday, March 23rd, 2010.